Living your whole life in the same place, speaking with the same people and eating the same type of food? Or occasionally travel to new places to see unbelievable attractions, to encounter new experiences, meeting new people and experience different cultures? The choice is yours. But remember, we live only once and won’t get a second chance to see this fantastic world. So, make the bucket list of places to travel today itself. Here the list of 100 most beautiful places to visit before you die. 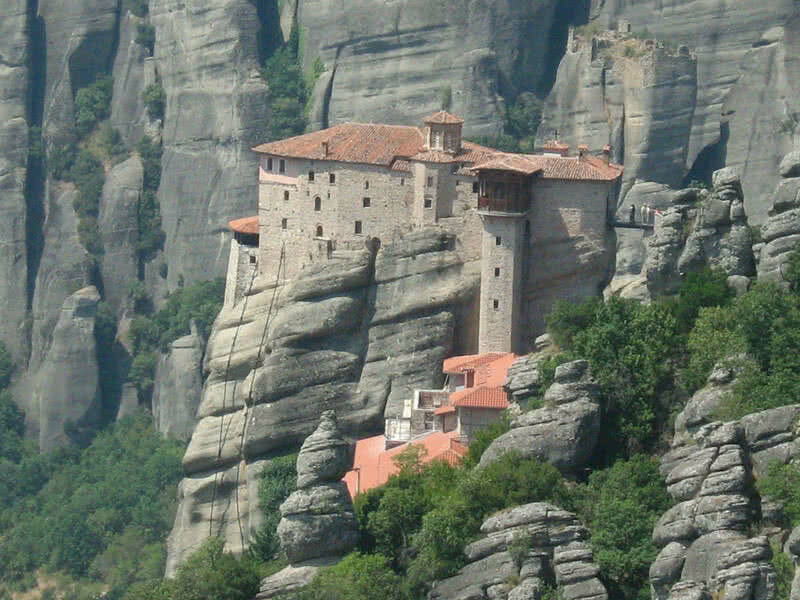 Six amazing monasteries built on giant rocks which are composed of conglomerate and sandstone. These rock pillars are aged over 60 million years and rise to 400 meters in height. Originally 24 monasteries were built here by the monks, between 14th and 16th century. But only 6 of them have survived through the time. Until the 18th century, Meteora monasteries served as a center of art and scholarship. Holy Monastery of Great Meteoron, Holy Monastery of Varlaam, Holy Monastery of Rousanou, Holy Monastery of St. Nicholas Anapausas, Holy Monastery of St. Stephen and Holy Monastery of Trinity are the existing Meteora Monasteries. Today, Meteora is a popular rock-climbing site and a world heritage site. Beautiful hills and river valleys also surround it. 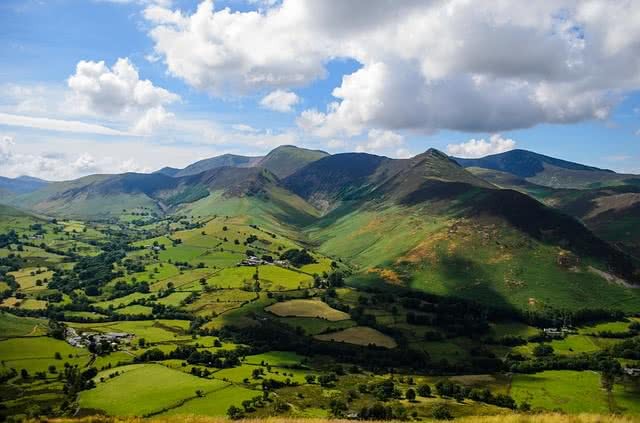 The lake district is a beautiful mountainous region located in Northwest England. Designated as a National Park in 1959. At 885 square miles of area, it is the largest national park in England. Lake District is known for its beautiful lakes, mountains, and forests. With more than 15 million annual visitors, it is the most visited National Park in the United Kingdom. Lake district is home to many archaeological and historical sites. The deepest lake (Wastwater) and highest mountain (Scafell Pike) also located in the Lake District. Apart from the breathtaking view of valleys, mountains, and lakes, you can enjoy cycling, walking, and boating. It comprises three large caves and many small caves and locates just 11 km North of Kuala Lumpur on a limestone hill. The Batu caves discovered back in 1859. Today, it is one of the main tourist attractions in Malaysia. The biggest cave is known as temple cave, home to many Hindu shrines. The remaining two main caves serve as museum and art gallery that consist many Hindu statues and paintings. Visitors have to climb 272 steps to reach the temple cave. 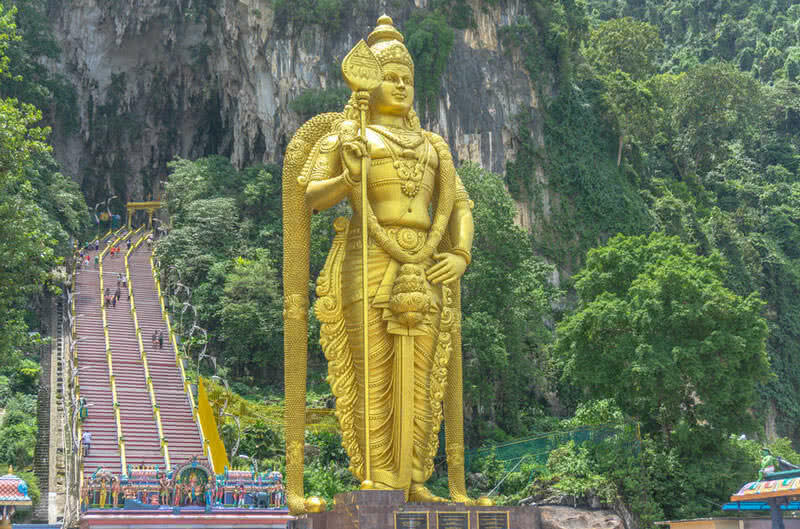 The 42.7 meters high Lord Murugan statue situated at the foot of Batu cave is the second tallest statue of a Hindu deity in the world. The dark hedges is a magical tree tunnel along Bregagh road in Northern Ireland. It is indeed a photographer’s paradise. In all light conditions, dark hedges look stunning. This beautiful site is also famous among international tourists. 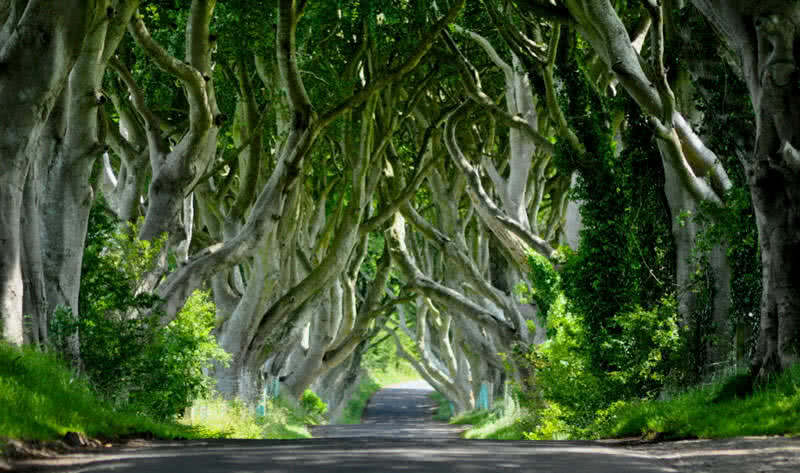 The breathtaking dark hedges featured on the favorite TV series Game of Thrones. The Stuart family planted these beach trees in the 18th century. One of the most photographed and beautiful natural site in Kyoto, located in the district of Arashiyama. It covers an area of 6.17 square miles. When the wind blows, the entire forest will fill with the magical music of nature. 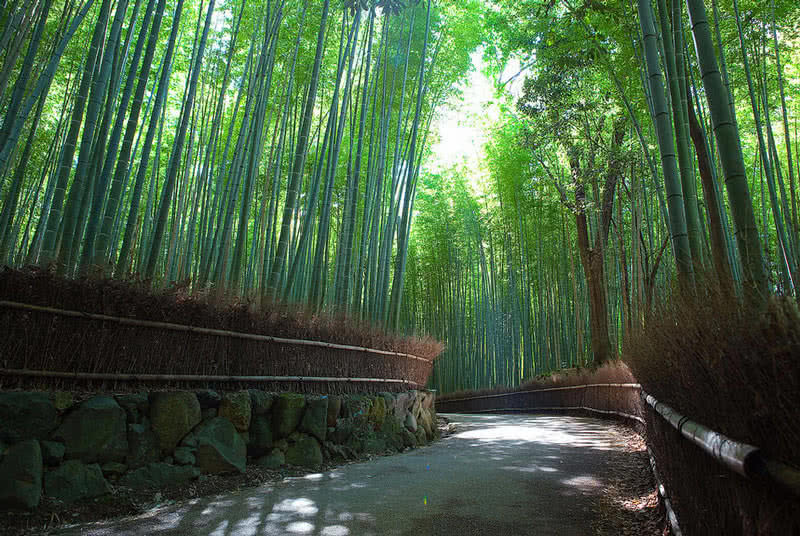 Sagano bamboo forest also featured on the list of 100 soundscapes of Japan by the ministry of environment. There are well-maintained paths throughout the site. Tenryu temple – One of the main temples of Kyoto also located near the Sagano bamboo forest. It was built back in 1339 by Shogun Ashikaga Takauji. 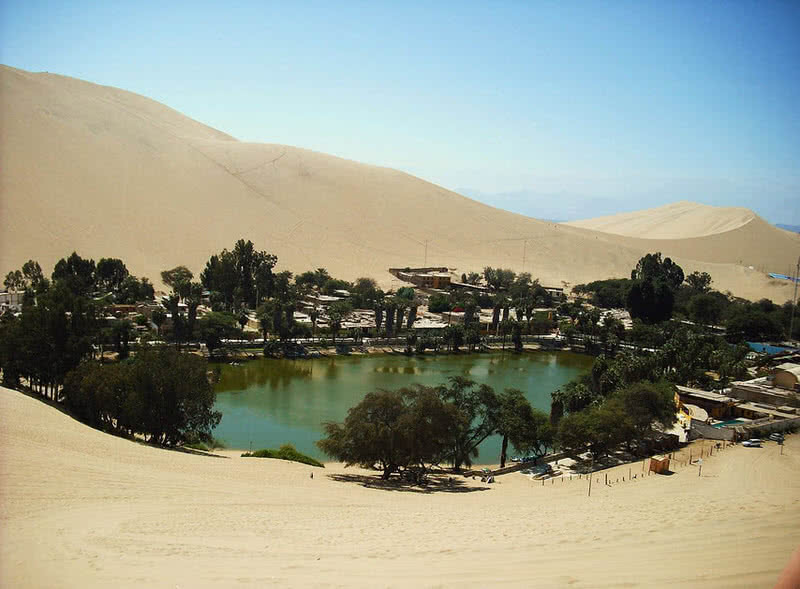 Huacachina is an amazing oasis town nestled in the desert of Southern Peru. This breathtaking oasis has a natural pool at the center and surrounded by the towering dunes. Around the lake, there are many resorts and restaurants. Huacachina has a population around 100. Tourism is the main income source of this small oasis town. It is a deep natural pit with crystal clear blue water, located within the eco-archaeological park in the Yucatan peninsula of Mexico. 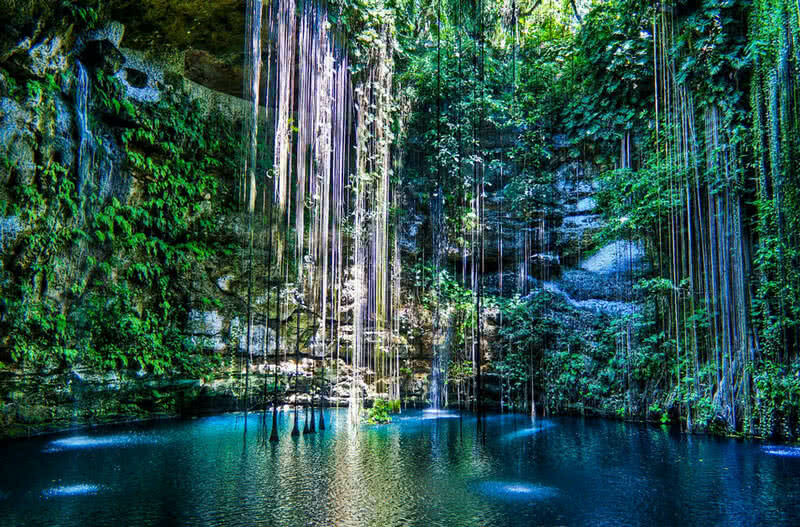 Ik Kil cenote is one of best natural pools in the world. It is 60 meters wide, and the depth exceeds 35 meters. There is a ladder along the limestone wall to access the pool. Formed by the collapsing of a cave. Mayans used this for centuries for relaxation and ritual services. Truly a great site for swimming and diving. The surrounding areas are also worth seeing. The gorgeous, 580 meters high Sutherland Falls is one of the tallest and mightiest waterfalls in New Zealand. 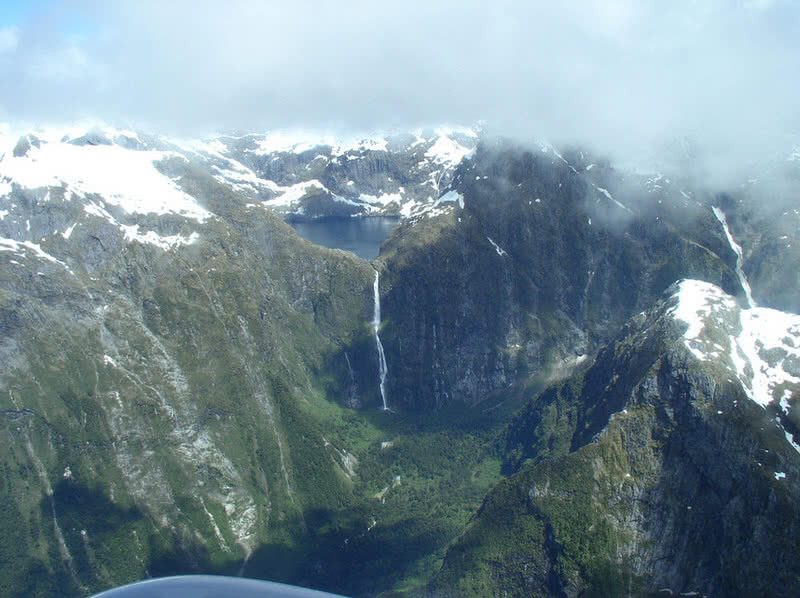 It locates in the Fiordland National Park in Southwest New Zealand. It’s location deep in the wild that make it so famous among international tourists. Sutherland Falls has three different leaps during its descent. December to February is the best time to visit the Sutherland Falls as this site has long hours of daylight at that time. A surreal looking lake with beautiful bluish-green water. 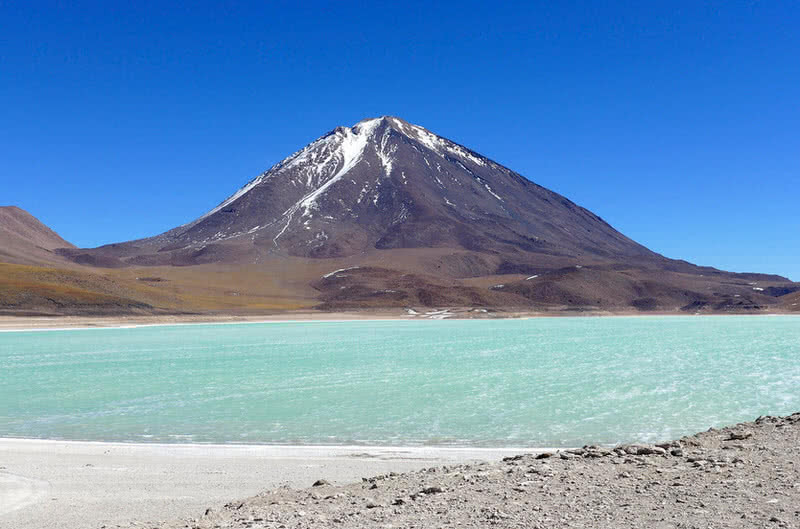 It locates in the Altiplano region of Bolivia, at an altitude of 4200 meters. A 19,555 ft high Licancabur volcano and towering mountains surround it. The site is also known for the fantastic landscape. You can see the reflection of Licancabur volcano when the waters become still. A great place for trekking, hiking and climbing. A prominent Buddhist monastery that perched on 3000 m high granite cliff in the Paro Valley of Bhutan. 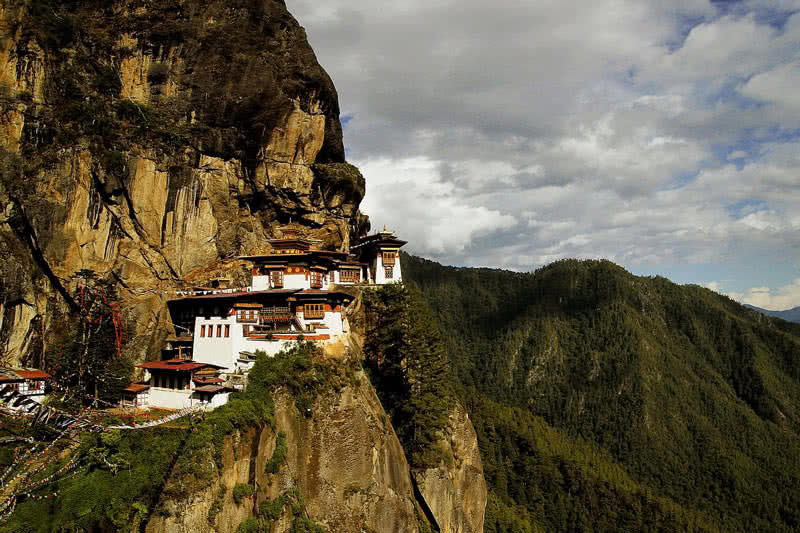 Tiger’s Nest monastery is famous as Paro Taktsang. It was built back in 1692 on the exact location where the Guru Padmasambhava (a holy figure in Mahayana Buddhism) meditated. Hiking the trail through the beautiful pine forest will be an unforgettable experience for you! The Paro Taktsang monastery consists of 4 temples and several other rooms. The staircases interconnect all sections of the monastery. From the balconies of this monastery, you can enjoy a stunning view of majestic mountains and green valleys. The Verdon gorge in Southeastern France considered as the most beautiful canyon of Europe. It was formed by Verdon river over thousands of years ago. This majestic canyon is 62 kilometers long and 300 meters deep. 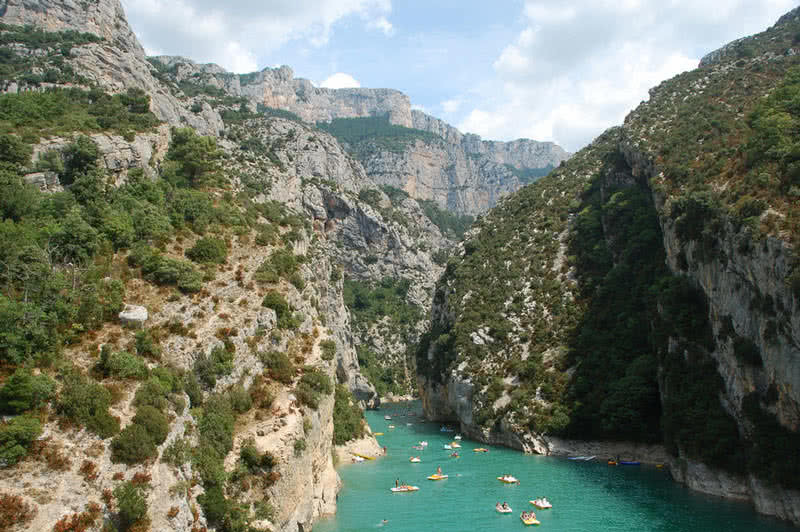 The turquoise-green water of the Verdon river is one of the main attractions of this site. The flow of such strikingly colored river through the gigantic Verdon canyon exhibit unbelievable scenery for the visitors! Can enjoy many tourist activities including kayaking, canyoning, water skiing, and sailing. Being home to some of the weird looking plants, Socotra Island is truly the most alien-looking place on Earth. 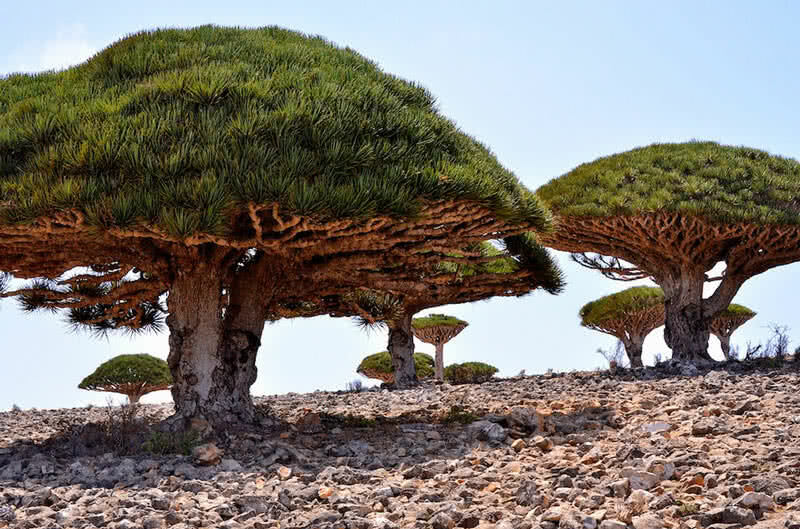 The umbrella-shaped dragon blood tree is the most distinctive plant of this Island. One-third of 825 rare plants of Socotra Island found nowhere else on Earth. The mountains of this Island rises more than 1500 meters. The tourist can take a wide range of treks here. With white sands and crystal clear, turquoise waters, the Shouab beach in Socotra Island is among the most beautiful beaches in the world. One of the most beautiful tropical Caribbean island which is known for its natural beauty and historical importance. The volcanic plugs are the most amazing sights in Saint Lucia. There are two main volcanic plugs where hiking is allowed. The trail and view from the top of these volcanic plugs are just breathtaking. The rocky pigeon islet of Saint Lucia is known for hiking and snorkeling. This islet is also home to several historical sites of Saint Lucia. 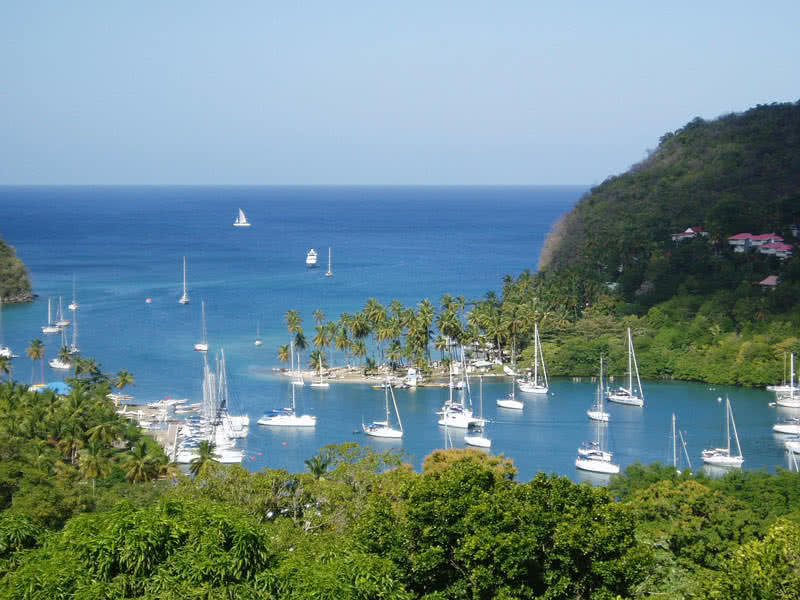 The Marigot Bay of Saint Lucia is one of the most beautiful bays in the world. Because there are beautiful corals, crystal clear water, clean shore and swaying palm trees. To enjoy the real beauty of Marigot Bay, you have to climb to the top point of the Island. One of the largest and most beautiful gardens in the world, located in the Lisse town in the Netherlands. This spectacular garden situated in a land of 32 hectares and it is home to 7 million flowering plants. 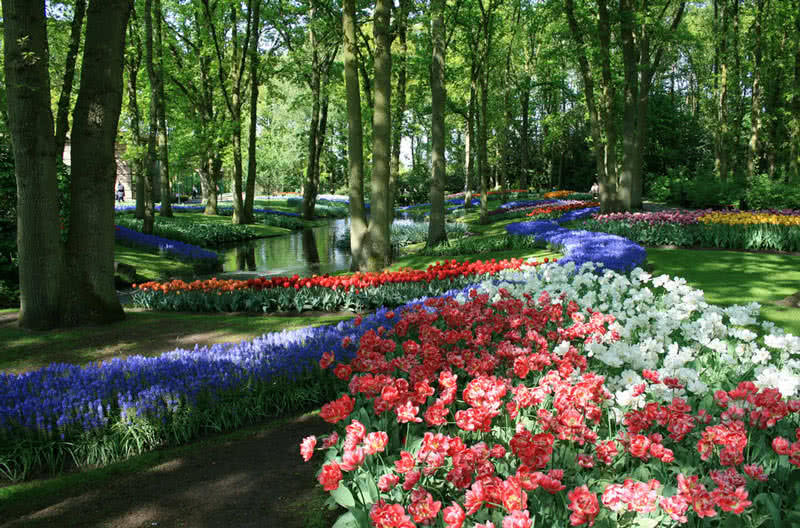 Keukenhof garden opens only between March and May. There are a 9.3-mile long walking path and boat service to enjoy the beauty of this garden. Can enjoy the largest Lilly show, and millions of tulip in full bloom during show time. Each year, Keukenhof garden brings a new theme. The Faroe Islands is an archipelago located in the middle Atlantic Ocean. It composed of 18 different Islands connected by ferries. It is known for having a vast area of unspoiled mountainous regions. The coastline of Faroe Islands stretches over 687 miles. No point on these Islands is far than 3 miles from the ocean. The Faroe Islands have majestic Fjords and cliffs on its coasts. It is also home to beautiful green valleys and forests. 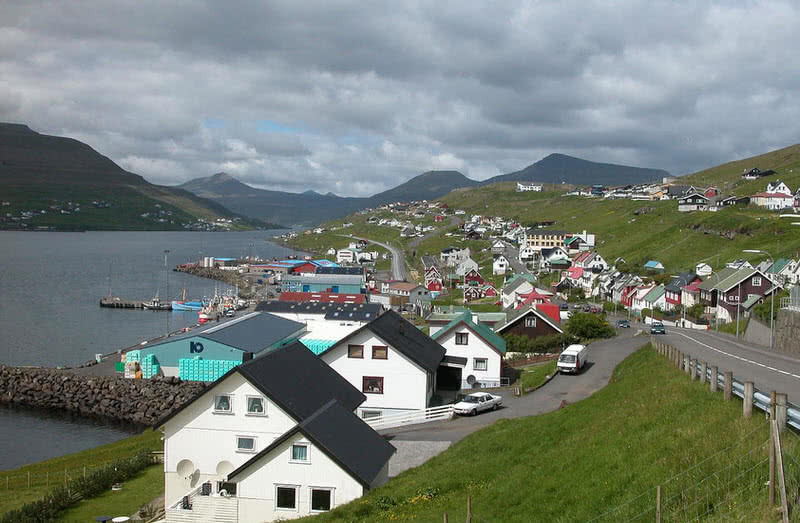 The Faroe Islands are among the places with cleanest waters. Thus, it can provide an unforgettable sub-sea experience for the visitors. In addition to the natural attraction, the beautiful villages of wooden houses in the Faroe Islands will leave you breathless! Probably the most amazing glaciers in the world. One of the main attractions of Los Glaciares National Park in Crux province of Argentina. This glacier is 18 miles long, 3 miles wide and 550 feet deep. Can enjoy the view of this magnificent glacier by taking a boat ride on Argentino lake. A helicopter ride will bring a completely different view of Perito Moreno from another perspective. 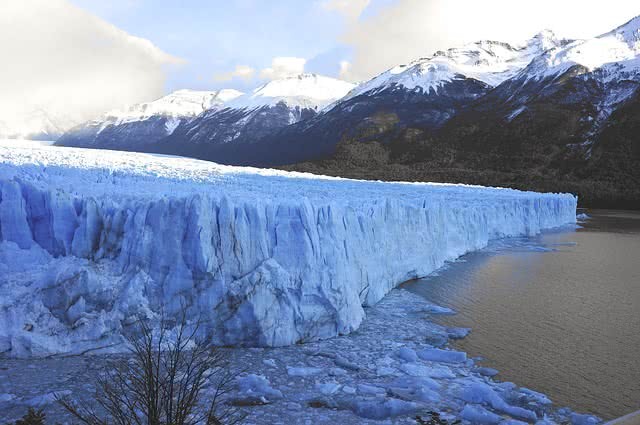 If you visit the Perito Moreno in summer, you can see the falling of glacier blocks into the Argentino lake! 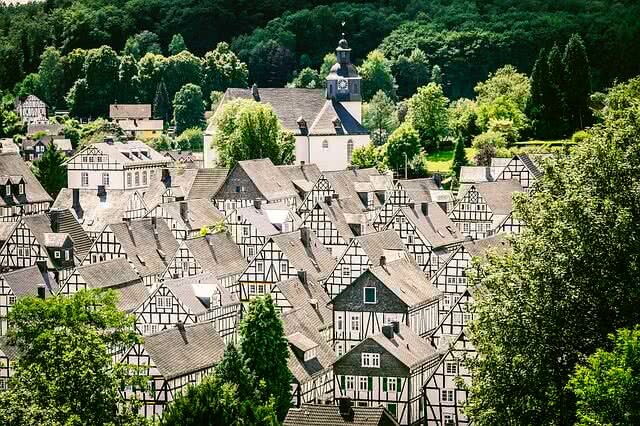 Situated in the North Rhine-Westphalia of Germany, the Fredenberg is one of the most beautiful villages in Europe. This small village measures only 35.90 square miles. The setting of wooden houses on the scenic mountain landscape will make a feeling that it is taken out of a fairy tale. Almost all houses in Freudenberg are equal in size and have the same pattern. This area is also best for hiking, swimming, fishing and horseback riding. 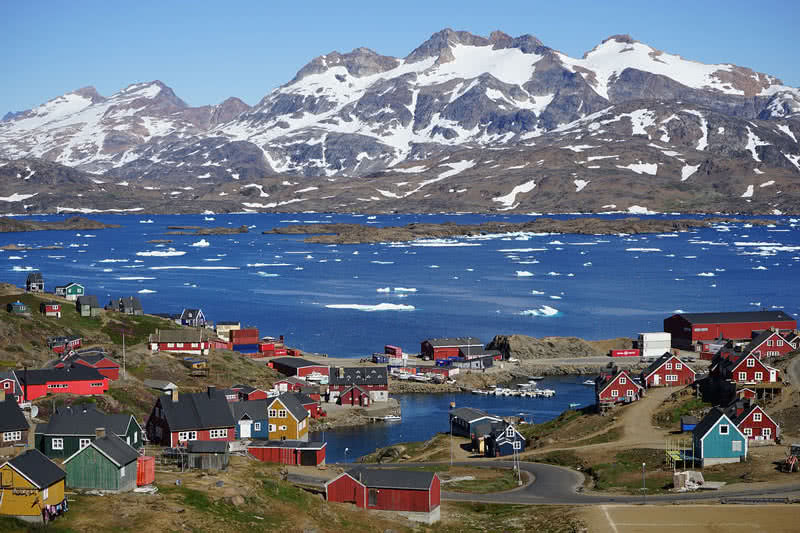 Located on the bank of the King Oscar Harbour, the Tasiilaq is undoubtedly the most beautiful town in Greenland. The unique location of Tasiilaq Island makes it special compared to other tourist attractions. It is situated on a deep Fjord and surrounded by snow-capped mountains. There is a beautiful flower valley near the Tasiilaq town that features many unique species of flowers. The picturesque wooden houses are another great attraction of Tasiilaq town. They look stunning in the snow-covered mountainous region. A boat ride in this site will bring you an amazing view of glaciers and huge icebergs. 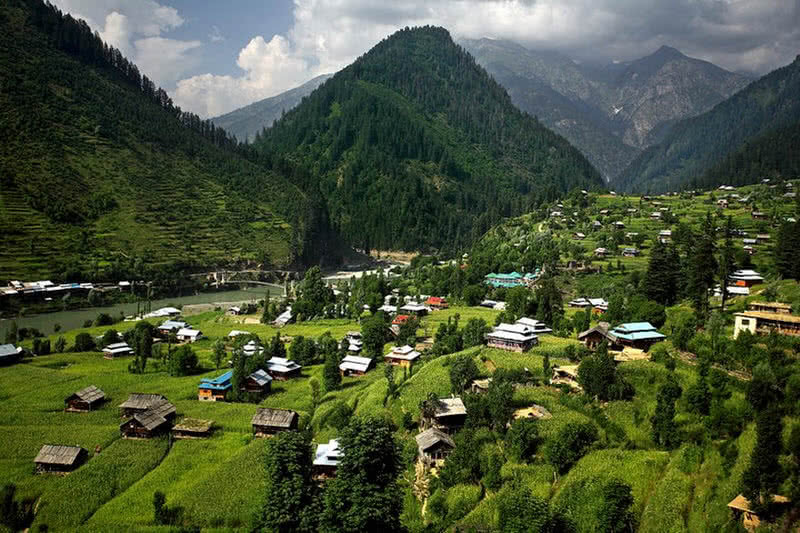 A picturesque, bow-shaped valley located in the Azad Kashmir of Pakistan. It is situated at an altitude of 2000 feet and has a total length of 150 miles. The Neelum river forms this beautiful valley. Surrounded by the snow-capped peaks, this amazing valley features forested hills, great varieties of flowering plants, enchanting streams, and waterfalls. A group of scenic Islands in the Northern part of Norway. Consist of four main Islands called Austvagoy, Vestvagoy, Flakstadoy and Moskenesoy and many smaller Islands. 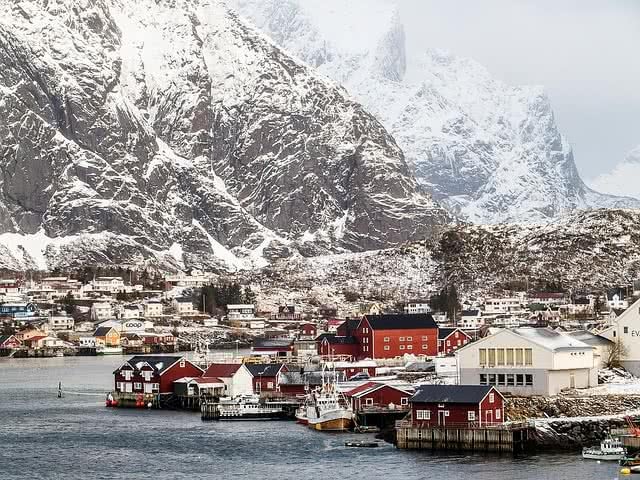 Despite being located in the Arctic circle, the Lofoten Archipelago has pleasant mild weather due to the circulation of the Gulf stream. Majestic Fjords dominate the coastline of Lofoten Islands. It is one of the best locations to see the Northern light. In summer, the Midnight Sun will be visible in the Lofoten. Lofoten is also home to abundant marine life, a great place in Norway to watch the killer whales. Hiking, climbing, whale safari and diving are popular tourist activities in Lofoten. Perhaps the most photographed mountain in the world, situated on the border between Switzerland and Italy. 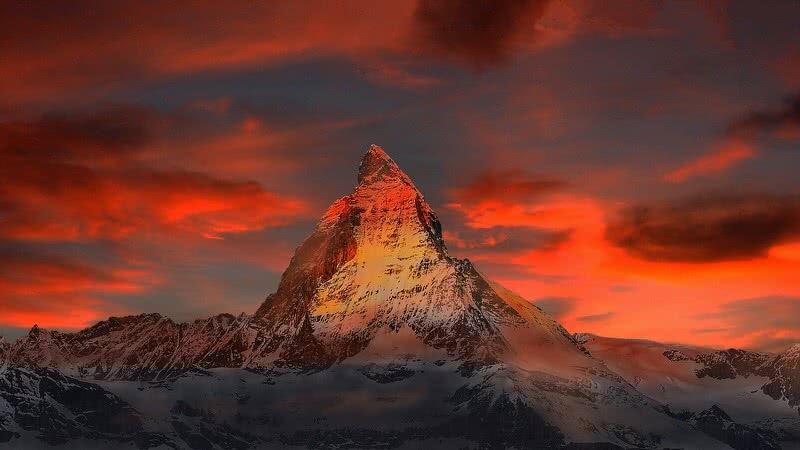 The 4478.12 meters high, pyramid-shaped Matterhorn is one of the tallest and most beautiful mountains in the Alps. Matterhorn is accessible from Zermatt of Switzerland and Breuil- Cervinia of Italy. The four faces of the Matterhorn mountain are steep, and avalanches are also very frequent here. So the ascent of Matterhorn can only be achieved by expert mountaineers. The first ascent made in 1865. There is a cable car station at an altitude of 3820 meters above sea level. It is the highest cable car station in Europe. A ride on cable car here will bring you an unbelievable view of the Matterhorn and surrounding places!